The Duke and Duchess of Sussex are extremely fond of children and they are quite keen to start a family. 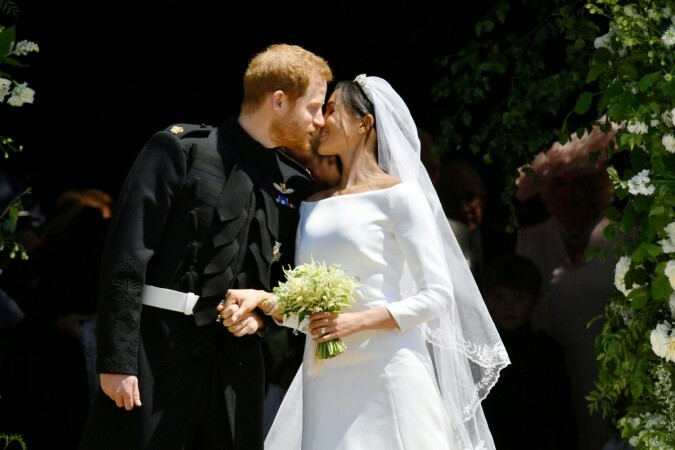 Even in today's time, the most frequently asked question to all the newly-wed couples is still the same -- When are they planning to have babies and it seems that Prince Harry and Meghan Markle are not an exception. The Duke and Duchess of Sussex tied the nuptial knot on May 19, but rumours about Markle's pregnancy have been doing rounds even before their marriage. Now, the rumours have just transformed into a big question. Recently, Prince Harry and Meghan Markle went on a two-day tour to Ireland where they met their fans. While interacting with Prince Harry, one of their fans named Elaine Adam-Stewart told the Duke: "My husband also has red hair and he gave me five children - when are you and Meghan going to get going?" In response to this question, People quoted Prince Harry as saying: "Five children? — too many." Both Markle and Prince Harry are extremely fond of children and they have always been very open about their desire to start a family. In the first interview as engaged couple, Prince Harry told BBC: "You know, one step at a time. Hopefully we'll start a family in the near future." Last year, the Duke of Sussex told The Telegraph: "I would love to have kids." Thomas Markle, Meghan's father was also heard talking about her daughter's desire to have children. "She [Meghan] wanted children for a long time. There's got to be a child in the making, somewhere soon," he told Good Morning Britain. But, whenever the time is, it is pretty evident that the couple, Prince Harry and Meghan Markle, is not planning to have too many babies. Now, whether they will follow the footsteps of Prince Charles of having two children or Prince William with three babies, will be clear in near future.